Reddit is becoming the biggest site to get the news update from. 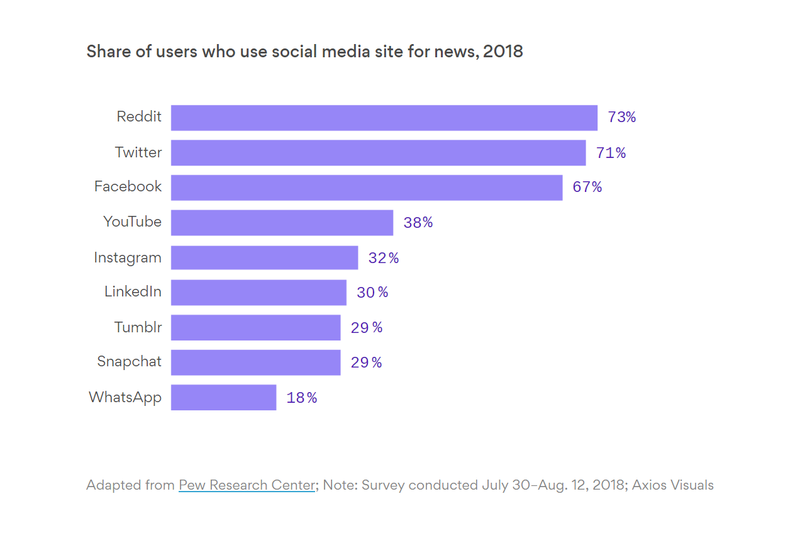 According to the study performed by Pew Research Center, this social network holds the highest portion of users who get to be acquainted with the latest news. Last year, it was Twitter that aced the charts in terms of the platform with the highest number of users that are on board for the latest news. This year, however, the crown sets on Reddit’s head for being the site with the most number of users that are there for the latest happenings. At 73 percent, Reddit takes over Twitter by 2 percent, which stands at 71 percent. But, becoming big has its shortcomings along with the huge perks. As the site becomes more popular, it will be more prone to the spread of misinformation via false leads. Just recently, a report pointed out at the matter of users flagging Iran's campaign of fake news on Reddit almost a year ago and the executives didn’t pay much heed to the warnings. Reddit has the highest male population to that of the female in contrast to all the other companies involved in the survey. Its audience seems to be the 2nd most educated one following Linkedin's at the 1st. However, the user base on Facebook is much higher than Reddit, so technically, still much more people get news updates from Facebook than Reddit. The above chart illustrates share of users who use Reddit, Twitter, Facebook, YouTube, Instagram, LinkedIn, Tumblr, Snapchat and Whatsapp for news in 2018.